The New York law firm of Ingber & Provost is here for you when you need us most. If you have suffered a serious personal injury on the job, on the road, because of a medical mistake, or anywhere due to the negligence or reckless conduct of an individual or business, our attorneys will work to see that you are fully compensated for your injuries. If you are struggling to pay your bills or hold onto your home, our firm examines your options and gives you the right kind of help to stop the harassing conduct of creditors and get you back in control of your finances. Finally, if you have been arrested and charged with DUI/DWI or any New York misdemeanor or felony offense, our lawyers offer immediate assistance from the moment of arrest and are with you every step of the way to give you advice and provide strong, aggressive and effective representation, whether dealing with prosecutors or fighting in court. At Ingber & Provost, you always deal directly with your attorney, who is intimately connected to your case and stays connected until your matter is resolved. Our office provides constant communication throughout your case, so that you always know where you stand and what comes next. If you have questions, we are always available, twenty-four hours a day, seven days a week. Personal Injury – If you have been injured in a motor vehicle accident, hurt in a slip and fall on someone’s dangerous property, or sickened in a restaurant, we work to see that you are compensated for the full range of harm done to you, including compensation for your medical bills, lost income, and pain and suffering. If you have lost a loved one to another’s careless actions, we fight to hold the responsible parties accountable and get you the assistance you need to deal with the financial and emotion harm visited on you. Bankruptcy – We help people get out from under crushing debt and make a new start. Our attorneys are experienced in both Chapter 7 and Chapter 13 bankruptcy, but our firm does not try to push people into one type of bankruptcy or another. We understand that bankruptcy is not the right answer for everyone. We explore all of your options with you and provide the help that makes the most sense in your personal situation, whether the answer is bankruptcy, negotiating a debt settlement, seeking a loan modification, or fighting unfair debt collection practices. If your mortgage is in default and has you facing foreclosure, we pursue all available defenses and other options to help you keep your home. Criminal Defense – An arrest or conviction can change your life. We go to work immediately to protect your rights and get you the best possible result in your situation. Let us help you protect your liberty, your job, your license, your reputation, and all the other aspects of your life a criminal charge can put in jeopardy. From traffic violations to DUI/DWI, theft, assault, drug charges and more, our experienced criminal defense team is here to help defend against any New York criminal prosecution, from simple misdemeanors to the most serious felonies. Medical Malpractice – The negligence of a doctor or hospital can result in you not getting the treatment you need. Even worse, serious medical mistakes can cause much greater harm than the original condition you sought treatment for in the first place. Life-long disabilities and even death can result from surgical errors and other medical negligence. Our experienced, aggressive attorneys know what it takes to prepare and present a successful claim for medical malpractice in New York. From misdiagnosis or delayed diagnosis to surgical mistakes and birth injuries, trust the decades of combined experienced of our medical malpractice team to help you get the compensation you need and deserve. 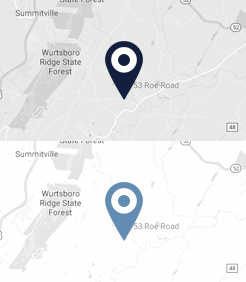 With offices in Bloomingburg, Poughkeepsie, and Long Island, we are ready to serve clients throughout the mid-Hudson Valley in Orange, Dutchess and Ulster counties, as well as New York City. Your initial consultation is free, and both English and Spanish speaking services are available. We offer a variety of payment plans and fee structures, including contingency fee arrangements on personal injury matters, where you do not pay a fee if we don’t recover for you. 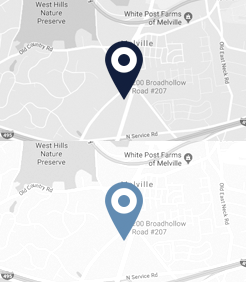 Call 866-733-2720 or contact us online for a free consultation at a location near you, and let us help you get success with your most pressing legal matters.